1) Go into IRS.gov (request Tax Transcript) and find tax form 4506-T, and print it out. 2) Complete the appropriate sections of the paper version of that form (name, SS#, and address) – you can’t do this online! With only two weeks left before you can access the FAFSA form, it’s time to start getting ready for this very important part of your college application process. Click the links following for two documents that may help you prepare – Best Practices for getting your FSA ID and the FAFSA Checklist of materials/information you will need to fill our the form. Any students/families are welcome to attend either of these sessions. The annual FAFSA and Financial Aid Workshop for seniors and parents is Monday, August 29, 2016 in the Manual Auditorium. The program begins at 6:00 PM and the special guest speaker is Mr. Gene Weiss from the Kentucky Higher Education Assistance Authority. Mr. Weiss will walk you through the FAFSA submission process and answer questions you may have about reporting your financial information. It is very important for at least one parent to attend with their senior. 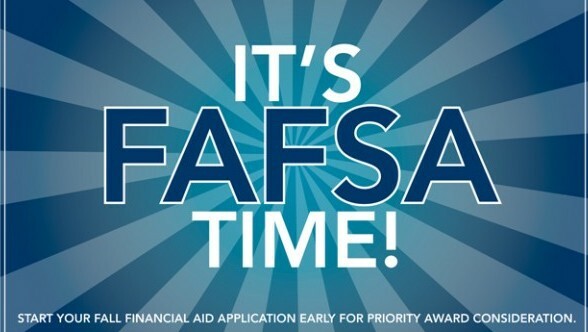 If you want any sort of financial aid during college you will need to complete the FAFSA form. The window for submitting the FAFSA opens October 1, 2016. Waiting to file means there is less money to allocate, so you will want to file as early as possible.